For 45 years, Clearbrook Treatment Centers has been helping people throughout the tri-state area come to terms with their drug and alcohol addictions. 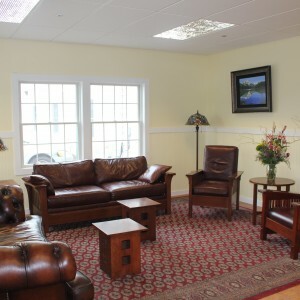 Located in the beautiful mountains of Northeast Pennsylvania and only a short drive from New York and New Jersey, the quiet and serene atmosphere offered at our drug treatment center is just what you need to get on the road to recovery. Since 1972, Clearbrook Treatment Centers, located in Wilkes-Barre, Pennsylvania, has been providing effective treatment programs for adults who suffer from alcoholism and/or chemical dependency. Clearbrook’s drug rehabilitation program is based on the belief that alcoholism and chemical dependency is a disease that needs to be handled with the utmost care and attention. Our residential inpatient treatment program, along with a 22-patient detox unit, is focused on helping the addict reach sobriety. By utilizing the 12-step programs of Alcoholics Anonymous and Narcotics Anonymous, in conjunction with our customized program, the addict will soon begin a new lifestyle that is chemical free. The steps of these programs become an integral part of the patient community’s daily activities and efforts. Clearbrook’s approach to understanding, assessing, and treating the disease of addiction is based largely upon the Minnesota Model. Clearbrook Treatment Centers specializes in treating addictions with such substances such as alcohol, heroin, cocaine, and prescription drugs (crack, crystal meth/amphetamines, hallucinogens, ketamine, marijuana/cannabis, MDMA/ecstasy, opiates, solvents/inhalants, bath salts, spices, K2, salvia). 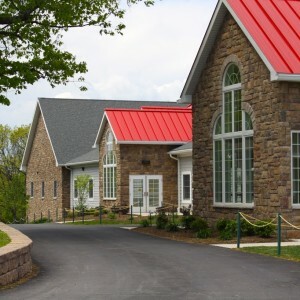 Opened in June 2010, our residential and detox facility in Pennsylvania provides a comfortable and peaceful atmosphere for those beginning their long-term journey of recovery. The 26,000 square-foot facility provides quality care to those afflicted by the disease of addiction. Our patients and their families are our most valuable resource. We are dedicated to act on their behalf, and to always advocate for their best interests. We must therefore adhere to the position of never compromising patient care for staff convenience or corporate profit. We believe in always putting patients first. We believe that an unyielding commitment to excellence and to cost effective healthcare will eventually ensure the success of all our patient-focused programs. Our second most valuable resource is our staff. We highly value our long-term commitment to continued staff growth and development. Clearbrook believes that by continuously emphasizing staff training, we enhance what we provide to our patients, what they desire, and what they deserve – quality of services, life, and sobriety. Clearbrook’s conception of its future can be stated quite simply: to continue to be a recognized leader and state-of-the-art drug/alcohol rehab facility in Pennsylvania for individuals suffering from alcoholism and chemical dependency. We are committed to excellence in the delivery of patient care, and to the therapeutic attractiveness and physical safety of our facilities. Our leaders will be constantly vigilant in their responsiveness to the needs of the community, county, state and nation. We hold ourselves as a model of corporate citizenry in our relationships with our neighbors, with the community at large, and with those that regulate our industry. 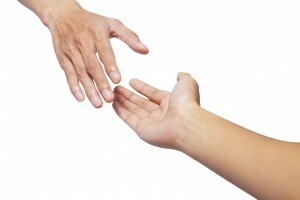 Deciding on the appropriate drug treatment center is an important decision for you and your loved ones. At Clearbrook, we believe our addiction treatment programs provide the most effective means to beat the disease of drug addiction and alcohol dependency. 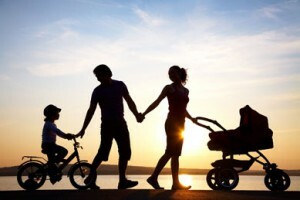 Being centrally located in Pennsylvania, we are able to provide care and services to clients from Pennsylvania, Ohio, New York, New Jersey, Massachusetts, and Connecticut. If you have any questions regarding our addiction treatment options, please give our experienced Admissions staff a call. Our Pennsylvania drug and alcohol rehab will help you reach sobriety and provide you with the tools and steps to maintain it. If you or a loved one are showing the signs of alcoholism or chemical dependency, our Admissions specialists and staff can explain the detox and inpatient residency process in detail. After completing a medically supervised detox, the patient will begin a 28-day inpatient stay. 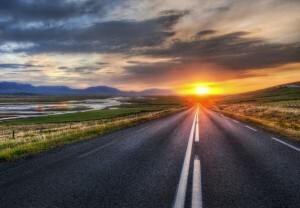 If you’re in need of a PA drug and alcohol treatment center, we will help you on the path to recovery. You can completely change your life for the better.